Jesus worked with heavenly efficiency and Satan was faster than hell. Then, ten minutes before their time was up, lightning suddenly flashed across the sky, thunder rolled, rain poured, and, of course, the power went off… Satan stared at his blank screen and screamed every curse word known in the underworld. ‘It’s gone! It’s all GONE! 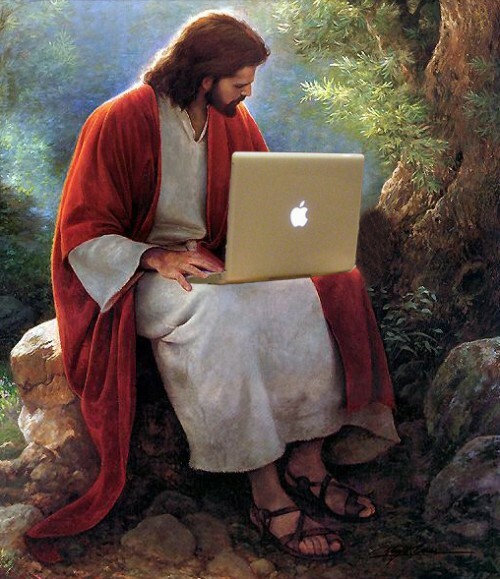 ‘I lost everything when the power went out!’ Meanwhile, Jesus quietly started printing out all of his files from the past two hours of work.